Since its inception, more than 100 Medical School students have graduated as a John P. McGovern Humanities Scholar. The McGovern Center for Humanities and Ethics celebrates its 10th anniversary this year with a lineup of special events and speakers. The celebration kicks off with a talk by Dr. Raymond Greenberg, UT System executive vice chancellor for health affairs, who will speak on “Care in the Time of Ebola” at noon Nov. 19 in MSB 3.001. Create model programs that assist health care organizations in building meaning-centered work. “The McGovern Center offers our students a unique opportunity in its concentration and certificate programs. I am proud to say that there are no other comparable programs in inter-professional ethics and residency education anywhere in the United States,” UTHealth President and UTHealth Medical School Dean Giuseppe Colasurdo said. “The McGovern Center offers young trainees the opportunity to begin their career with an emphasis in humanism and ethics. Through the certificate program, it serves as a model of where medical education across the nation should be headed,” said Dr. Andrea Glaser, PGY6 pediatric gastroenterology and nutrition fellow, and a graduate of the medical humanities and ethics certificate program. Although the center opened its doors in 2004, it began as an idea during the 1990s, when Dr. John P. McGovern initiated conversations with Dr. David Low, then president of The University of Texas Health Science Center at Houston (UTHealth), about the importance of humanistic education in medicine and the health professions. Subsequently, Low approached Rabbi Samuel Karff and asked him to develop educational materials, research, and courses aimed at recovering the human dimension of medicine. The success of the resulting program—”Health and the Human Spirit”—soon revealed the need for a larger academic center that would stimulate teaching and research in medical humanities and ethics on campus. “Dr. McGovern funded UTHealth’s McGovern Center for the Humanities and Ethics after seeing the work of a number of talented faculty who had launched the Health and the Human Spirit program. Dr. McGovern believed in interdisciplinary programs that bring the health care team together. How proud Dr. McGovern would be to know that the Center is celebrating its 10th anniversary,” said Dr. Bryant Boutwell, John P. McGovern, MD, Professor of Oslerian Medicine, distinguished teaching professor, and special assistant to the president. Housed in the Medical School, the McGovern Center now provides programming for all six professional schools of UTHealth. Dr. Tom Cole is the center’s founding director. Core faculty members include Dr. Jeffrey Spike, Dr. Nathan Carlin, and Rebecca Lunstroth. Postdoctoral fellows Dr. Claire Clark and Dr. Woods Nash add their teaching, research, and ideas for new initiatives. “We are honored to be able to make a difference here at UTHealth and across the country,” Cole said. Cole and Carlin’s new Cambridge University textbook, Medical Humanities: An Introduction, is the first of its kind. It will carry the Center’s educational emphasis on professional identity formation and critical thinking to a national and international audience of students, teachers, and practicing health professionals. Recognizing the tremendous need for inter-professional programs across all medical specialties, UTHealth launched a Campus-Wide Ethics Program in 2009—the first of its kind in the nation. UTHealth’s Quality Enhancement Plan (QEP) —”Beyond Silos: Enhancing Ethics Education in and across the Health Professions”—builds on the Campus-Wide Ethics Program directed by Spike. UTHealth-wide, more than 3,800 students have completed The Brewters ethics education activity since 2011. Since 2007, UTHealth has offered students the opportunity to enrich their medical humanities education through participation in elective courses, lecture series, volunteer opportunities, writing workshops, and directed research programs, resulting in a special transcript and dean recognition as a John P. McGovern Humanities Scholar upon graduation. More than 100 students have graduated from the Medical Humanities and Ethics Certificate program. Currently 82 are enrolled. 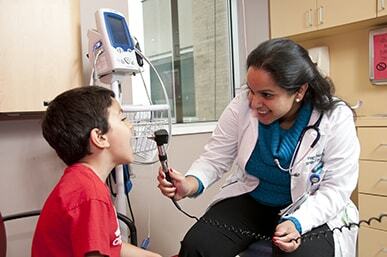 The McGovern program helps physicians become better listeners and care-givers, Glaser added. A fourth-year medical student enrolled in the certificate program, Latoya Comer said her participation in the program is generating interest as she interviews for residency. Comer said the program helped attract her to UTHealth and has sharpened her empathy skills. “Various humanities experiences, such as the Healer’s Art course, reflection journals, blue book lectures, and numerous other activities, have taught me how to process things like seeing a patient die, or experiencing the limitations in medicine and their effects on patients’ lives and care,” she said. More than 230 residents from pediatrics, neurology, psychiatry, and internal medicine have participated in the Sacred Vocation Program, which focuses on nurturing the spirit of the health care worker. In addition to major donor, the McGovern Foundation, other donors that support the center include the Vivian L. Smith Foundation, Alexander Foundation, Fondren Foundation, Regina Rogers, Nancy Powell Moore, Barbara and Barry Lewis Foundation, and Antonia Day.